Learn the classic techniques of combining ingredients into rich pastries. The main ingredients in French pâtisserie are flour, butter, eggs and 'savoir-faire! 'By learning their various combinations, properties and applications, you will learn how to make various types of pâtisserie like pâte sablée, pâte feuilletée and choux paste; and traditional gâteaux like Saint Honoré, black forest and Paris-Brest. 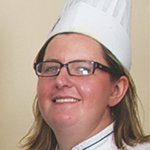 The demonstrations and practical sessions will lead you step-by-step through the basics of French pâtisserie. 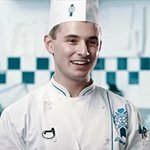 Basic Pastry is the first step, followed by intermediate and superior in completing your Diplôme de Pâtisserie. This course is designed for individuals who want to be employed as an assistant bakery/pastry chef or bakery/pastry preparation assistant in hospitality/catering operations. The course has been developed in accordance with the National Occupational skills and industry standards. 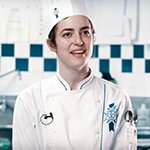 This course will develop the skills, attitude and knowledge associated with the basic French bakery/pastry techniques and to acquire the related values to work as a professional in either the commercial, industrial or retail catering industry, commercial, hotels and restaurants.